CENTARA GRAND BEACH RESORT & VILLAS HUA HIN, together with Dr Prachin Eamlumnow, president and CEO of Grand Prix International Co. Ltd, Prachuab Khirikhan, Petchaburi, Hua Hin Municipality, and with support from select five-star hotels in Hua Hin, are organizing the 12th edition of the Hua Hin Automobile Concours 2014 to celebrate the 87th birthday of His Majesty King Bhumibol Adulyadej. The event, the largest ever to be held in its history, will be held from Nov. 27-30 with the revenue generated after deducting expenses, being donated to the Chaipattana Foundation. Initiated by His Majesty King Bhumibol, the Chaipattana Foundation is known for projects dedicated to improving quality of life and self-reliance. The aim of the rally is to raise awareness of Hua Hin as a destination and give the public a chance to view these superb classic cars. The Hua Hin Automobile Concours features a fun-filled program of activities and fine dining, most of which take place at Centara Grand Beach Resort & Villas Hua Hin. Highlighted cars include a Rolls-Royce Silver Dawn, displayed by Dr Eamlumnow, which was the most exclusive model of car built in England during 1949-1955. The vehicle had been a birthday present for Chao Phaya Ramakob upon his returning to Thailand, hence its affectionate nickname, “Ramprapath”. Queen Elizabeth II had also used this majestic vehicle during her state visit to Thailand when visiting His Majesty King Bhumibol and Queen Sirikit. The three-days event bring together a stunning display of passionate classic car collections such as a Stingray Corvette 1963 by Sayam Sethaputra, 1958 Porsche 356 B by Sawad Horrungrueng. 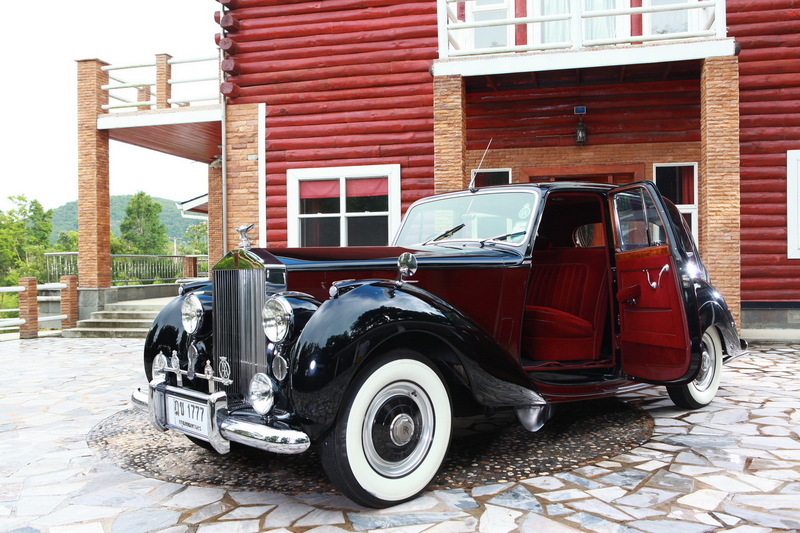 A 1947 Rolls-Royce Silver Wraith by Dr. Surakiet Satienthai, along with vehicles belonging to Kiatichai Monsereenusorn, Poj Vitjittranon, and Wittawat Svasti-Xuto. 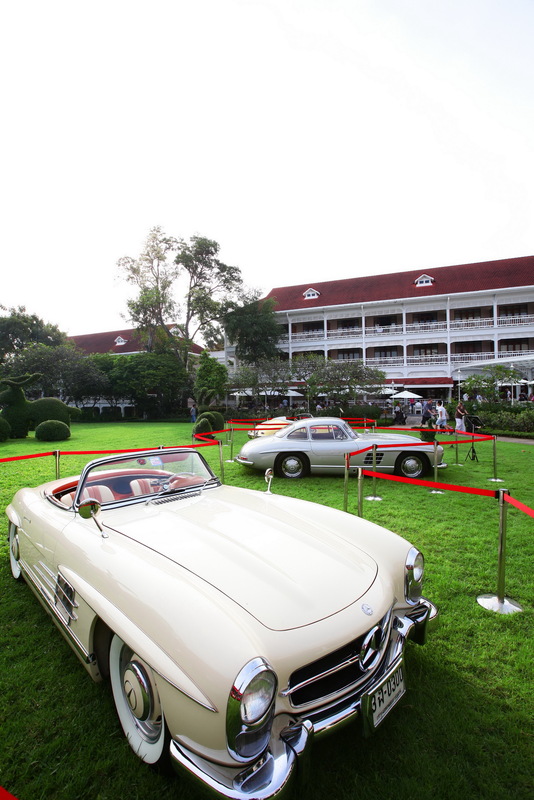 The classic cars will be a paraded around the Hua Hin as well as a joyride to the renowned Banyan Golf Club Hua Hin, where the cars will be further showcased and lunch will be served. The day will end with a spectacular gala charity dinner at Centara Grand Beach Resort and Villas Hua Hin featuring the glamorous theme of “the Great Gatsby”. Other activities will include releasing birds, fishes and turtles at Chang Hua Man Royal Project as well as donating of 87 bicycles and hosting lunch for the underprivileged children from four rural schools in Prachuab Khirikhan and Petchaburi. Anyone interested in bringing their own classic cars to participate in the event or join the gala dinner, please contact Public Relations, Centara Grand Beach Resort & Villas Hua Hin.